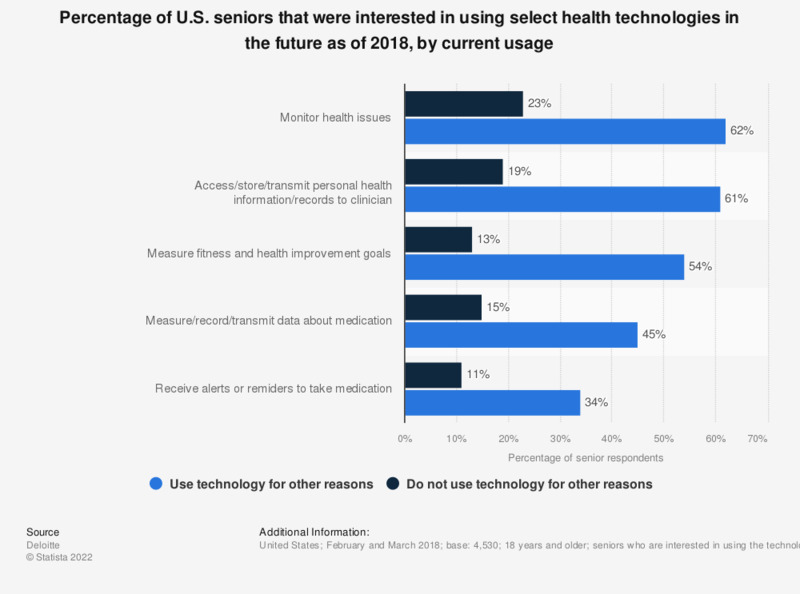 This statistic depicts the percentage of U.S. seniors that would be interested in using health technologies in the future as of 2018, by current technology usage. According to the survey, 54 percent of seniors that use technology for other reasons would be interested in using technologies to measure fitness and health improvement goals in the future. Comparatively, just 13 percent of seniors that do not use technology for other reasons would be interested in measuring the same fitness and health goals. Original question: "How interested would you be in using [the following] technologies in the future?"